I would be happy to make a donation if the cost of the old website was an issue. This format a serious disappointment. My setter locked up solid on a dead bird this weekend. It's something he's never done so I'm still wondering if the point wasn't a live bird that was a runner. Close call but setters gotta setter! slistoe wrote: You are going to have a lot of fun years. ...and a few less ball caps! Not to mention that for an experienced dog, a little nip with the vibration button and you get their attention just fine. It seems that voting away behaviors for others that you don't engage in has become too common all around the globe. My setter experienced no chaffing at all and he doesn't have the toughest underbelly skin. I think you'll be pleased. As stated in the thread Sharon linked, I could not be more pleased with the Medota skid plate. Beautiful pup....congrats. Gonna be a fun holiday for your family. Be sure to post pics in the Pup-To-Birddog thread next fall! Topic: Before and After - Pup to Bird Dog! Re: Before and After - Pup to Bird Dog! Had Brittany's for years. Got my Llewelin setter and regret ever having britts. Loved 'em dearly but Llews are light years ahead imo. Topic: 'CUPPING IN" A photograph. Re: 'CUPPING IN" A photograph. Just add 12 gauge, BB shot, meat slicer, jerky ingredients and dehydrator! Amen Featherfinder. Best to you and yours as well. Just beautiful! They really are a dream come true. What a terrific story and congrats on licking cancer. I loved this thread and would like to see others contribute. My Whip turned three years old today. It's a very nice product wolski, you won't regret it. Cripes, mine was less than $40.00 from an ebay place to boot. That's a heck of a biography Wiley! Have a great holiday everyone. I'm grateful for the outdoors and I'm grateful for this site. 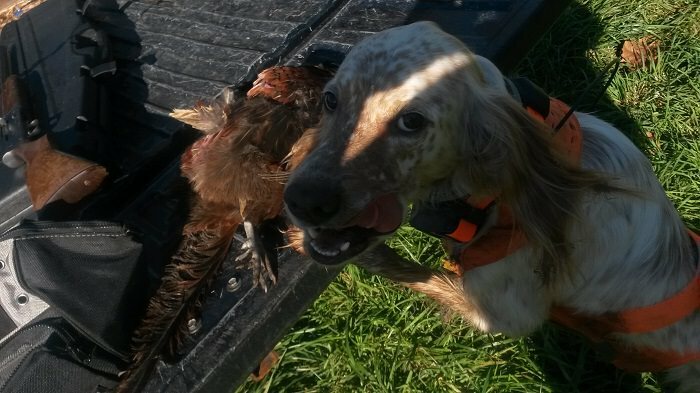 A few years ago I had a pup and a dream and just this afternoon, my 3 year old setter pointed up a bird for me and I have to go clean it after dinner. So many terrific people here...thanks. Eventually you're going to buy a GPS anyway so get one now. I would pay 5 times the cost of my Alpha 100 and T15 collar. Yeah, he's a beauty like yours. They're still too big Ffinder. Switch to pixels and set it no higher than 700.
it to imgur if you're gonna post it. Set to pixels in your photo editing program, make the highest Hor/Ver value 700. The breed debate goes on and on but for the record, I had two britts and I wish now that I had chosen setters. My current dog is light years ahead of my brittanys. Topic: We all go through it. Re: We all go through it. My setter turns 3 in December and I'm alarmingly aware of how fast a decade goes by. Topic: Happy to be here. Re: Happy to be here. Welcome to the forum and congrats on your beautiful pup. ....biggest trick to training is knowing when to stop! He's cursing check cords and fences! Oh, ok, My Llew is from Kyle Warren of Paint River Llewellins. I believe he got his sire from Scott and Michelle in the UP. ....my Whip got his first bird on Saturday. Good looking pup! is that Long Gone stuff? Since I'm not a breeder, it's of little concern to me but I suppose the Ryman setter is also an offshoot of the English setter, no? They're all beautiful to me. Sharon wrote: LOL Well one member is happy. Thanks.